Exquisitely modern and charming, this darling creation features a two tone coloured theme with the intricate pocket showcasing an impressive detailed floral pattern. 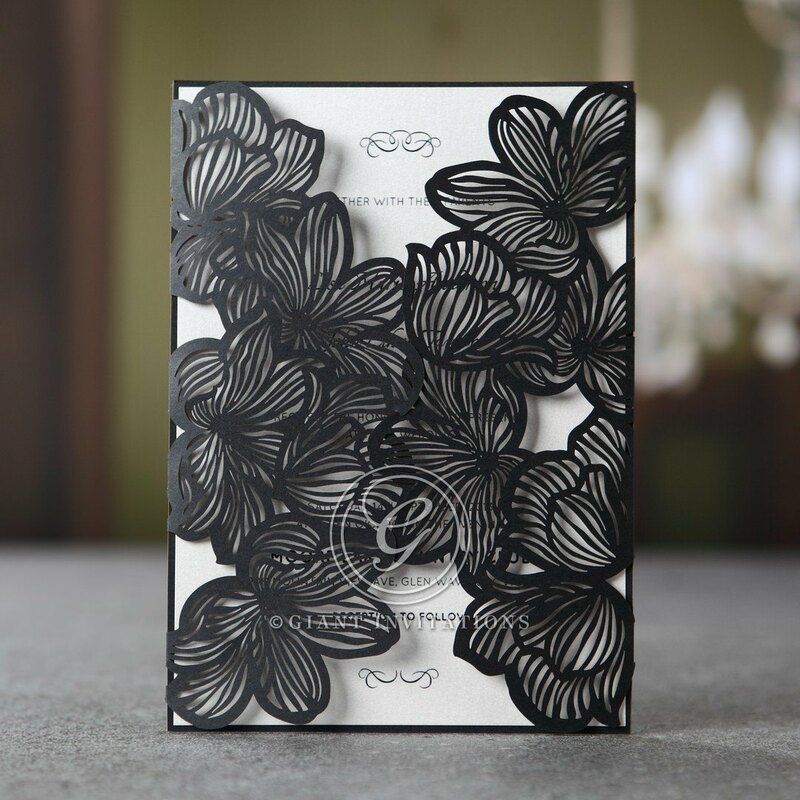 This design has been crafted using the latest in laser die cutting techniques. This gorgeous ebony pocket holds an equally impressive pearlised white inner card that is printed using our signature embossed ink which has been applied with thermography printing. This one of a kind work of art is perfect for engagement celebrations and weddings, as well as black tie events. 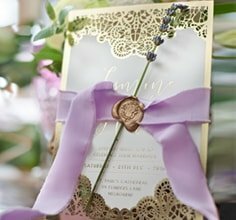 Level up the sophistication of this invite, by having the bride and grooms names or the entire text foil stamped in rose gold or silver.